Pack of 10 charity cards of 1 design. 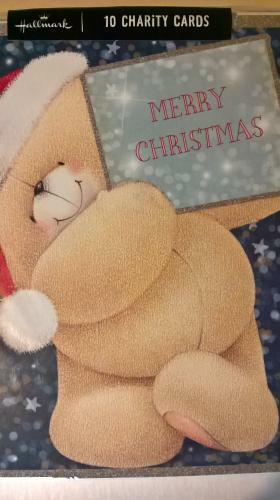 The charities which benefit from the sale of these cards are Barnardos and breast cancer campaign. The message inside reads "Have a wonderful Christmas and a happy new year".